This sign is for Vicks Vapor Rub. The sign’s colors are blues and red. 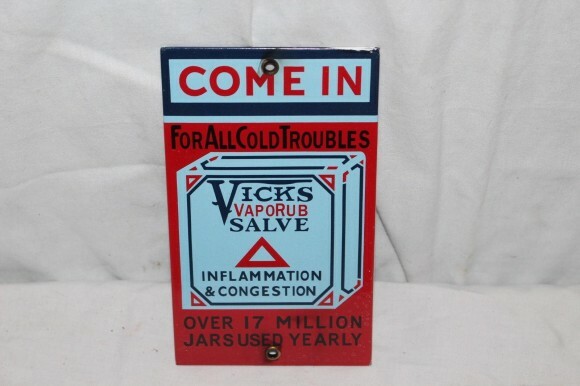 The text on the sign reads: Come in for all cold troubles Vicks VapoRub Salve inflamation & Congestion over 17 million jars used yearly. The sign shows a logo in the center with text surrounding.